The International Society for Research on Internet Interventions (ISRII), founded in 2004, promotes the scientific study of information and communication technologies targeting behavioral, psychosocial, health and mental health outcomes. These “Internet Interventions” are broadly inclusive of existing and emerging technologies, including, but not limited to, the web, mobile and wireless devices and applications, digital gaming, virtual reality, remote sensing and robotics.ISRII has a vibrant, enthusiastic, and highly appreciative community of members that attends and supports its conferences. 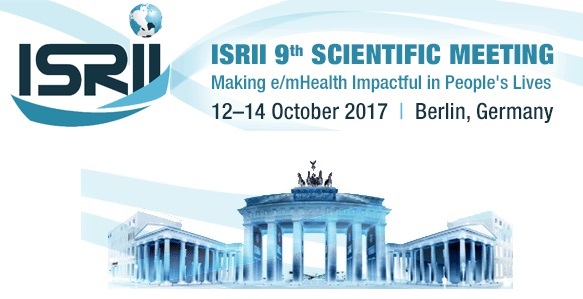 Every 12 – 18 months, members come together to share findings, discuss ideas, and identify ways to collaborate.The ISRII 9th Scientific Meeting will have a broad scope focussing on digital technologies to improve health across the lifespan and will cover lifestyle behaviours, management of acute and chronic conditions, and mental health.